The transport of molecules between the nucleus and the cytoplasm in eukaryotic cells is mediated by the nuclear pore complex (NPC) which consists of 60-100 proteins and is probably 120 million daltons in molecular size. Small molecules (up to 70 kD) can pass through the nuclear pore by nonselective diffusion; larger molecules are transported by an active process. Most nuclear proteins contain short basic amino acid sequences known as nuclear localization signals (NLSs). KPNA5 protein belongs to the importin alpha protein family and is thought to be involved in NLS-dependent protein import into the nucleus.The transport of molecules between the nucleus and the cytoplasm in eukaryotic cells is mediated by the nuclear pore complex (NPC) which consists of 60-100 proteins and is probably 120 million daltons in molecular size. Small molecules (up to 70 kD) can pass through the nuclear pore by nonselective diffusion; larger molecules are transported by an active process. Most nuclear proteins contain short basic amino acid sequences known as nuclear localization signals (NLSs). KPNA5 protein belongs to the importin alpha protein family and is thought to be involved in NLS-dependent protein import into the nucleus. Publication Note: This RefSeq record includes a subset of the publications that are available for this gene. Please see the Entrez Gene record to access additional publications. Western blot analysis of KPNA5 over-expressed 293 cell line, cotransfected with KPNA5 Validated Chimera RNAi ( Cat # H00003841-R01V ) (Lane 2) or non-transfected control (Lane 1). 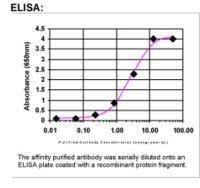 Blot probed with KPNA5 monoclonal antibody (M01), clone 1D2 (Cat # H00003841-M01 ). GAPDH ( 36.1 kDa ) used as specificity and loading control. Western Blot analysis of KPNA5 expression in transfected 293T cell line by KPNA5 monoclonal antibody (M01), clone 1D2.Lane 1: KPNA5 transfected lysate(60.7 KDa).Lane 2: Non-transfected lysate. 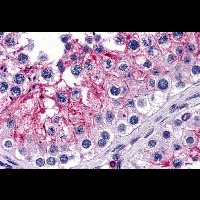 KPNA5 monoclonal antibody (M01), clone 1D2 Western Blot analysis of KPNA5 expression in HepG2 ( Cat # L019V1 ). 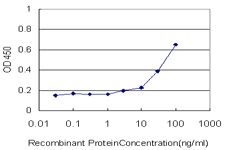 Detection limit for recombinant GST tagged KPNA5 is approximately 3ng/ml as a capture antibody. 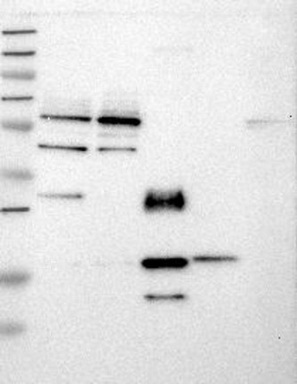 Western Blot analysis of KPNA5 expression in transfected 293T cell line by KPNA5 MaxPab polyclonal antibody.Lane 1: KPNA5 transfected lysate(60.70 KDa).Lane 2: Non-transfected lysate. 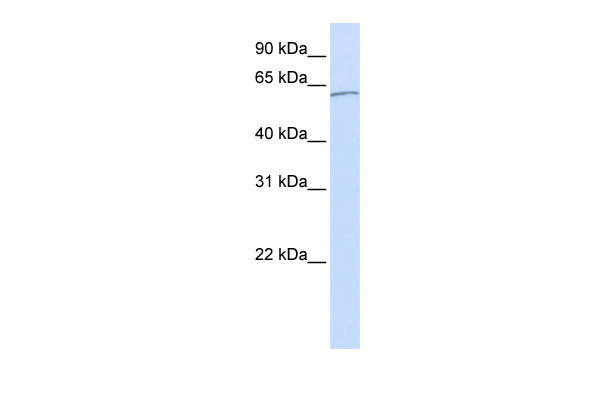 Western Blot analysis of KPNA5 expression in transfected 293T cell line (H00003841-T02) by KPNA5 MaxPab polyclonal antibody.Lane 1: KPNA5 transfected lysate(60.70 KDa).Lane 2: Non-transfected lysate. 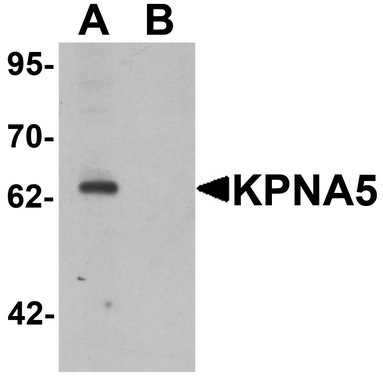 Western blot analysis of KPNA6 in EL4 cell lysate with KPNA5 antibody Cat.-No AP55609PU-N at 1 μg/ml in (A) the absence and (B) the presence of blocking peptide. 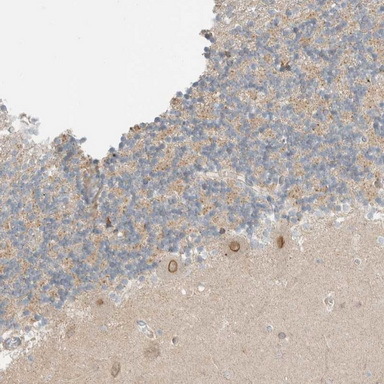 Immunohistochemical staining of human cerebellum shows distinct nuclear membrane positivity in purkinje cells.This validation was performed by Protein Atlas and the presentation of data is for informational purposes only. Immunofluorescent staining of human cell line U-2 OS shows positivity in cytoplasm.This validation was performed by Protein Atlas and the presentation of data is for informational purposes only. 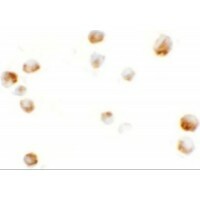 Immunohistochemistry of KPNA5 in human testis tissue with KPNA5 antibody at 5 ug/mL. 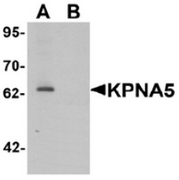 Western blot analysis of KPNA6 in EL4 cell lysate with KPNA5 antibody at 1 ug/mL in (A) the absence and (B) the presence of blocking peptide. Immunocytochemistry of KPNA5 in EL4 cells with KPNA5 antibody at 5 ug/mL. 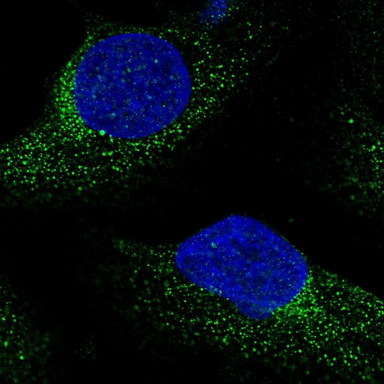 Immunofluorescence of KPNA5 in EL4 cells with KPNA5 antibody at 20 ug/mL.